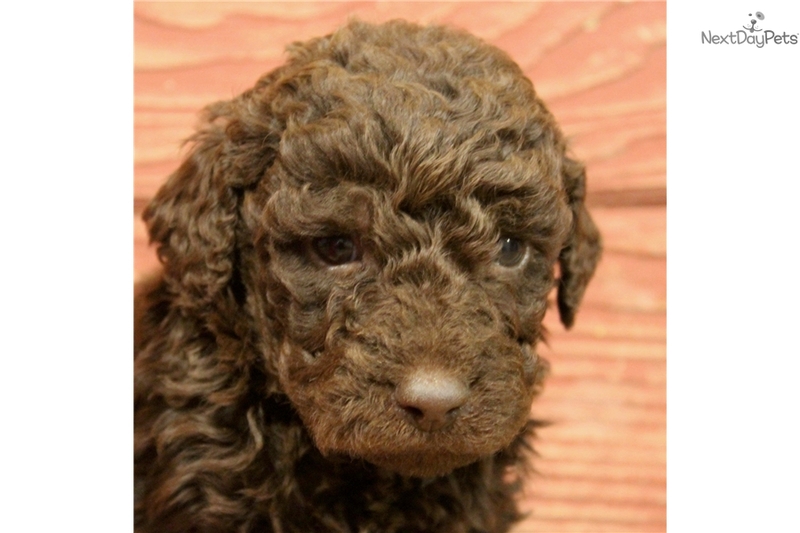 This Labradoodle nicknamed Teddy sold and went to a new family. Teddy is very lovable and is just waiting for his first hug from his new family. 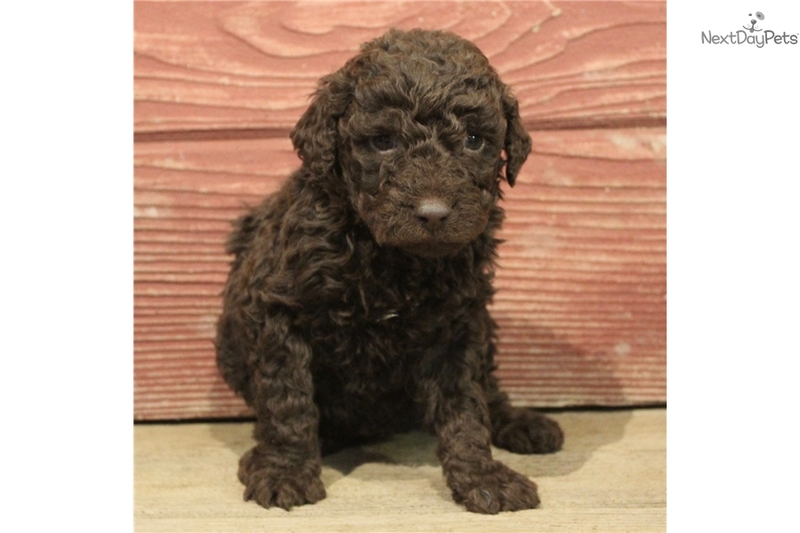 He is a small/medium chocolate labradoodle. He will be probably be around 30 - 40 lbs. He was born December 7th. 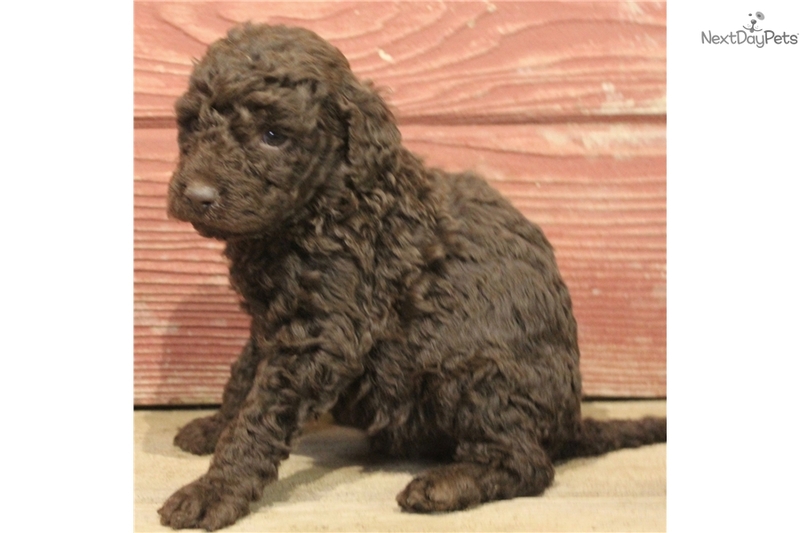 His mother is Esther our sweet standard dark chocolate F1b labradoodle. She was born and raised here on the farm. His father is Buster our 18 lb. 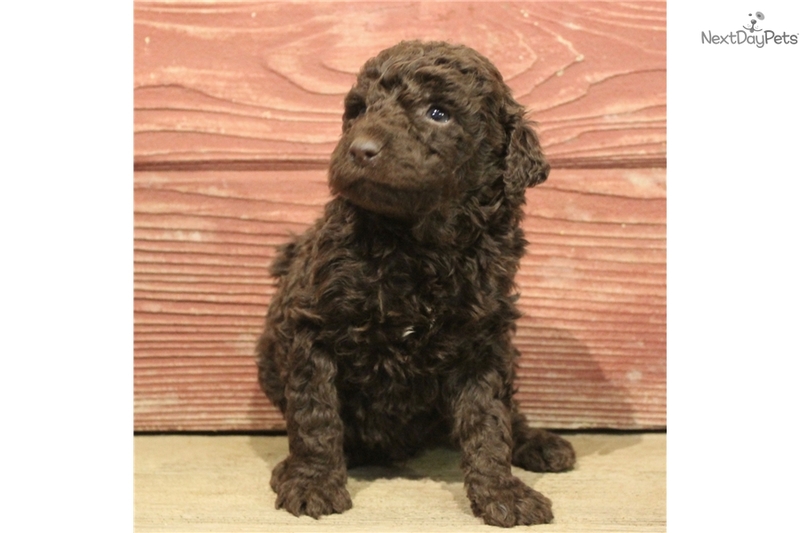 multi generation chocolate labradoodle. He is very obedient and playful. Both parents and more photos can be seen on our website: www.stammdoodles.com. Price is for limited registration. 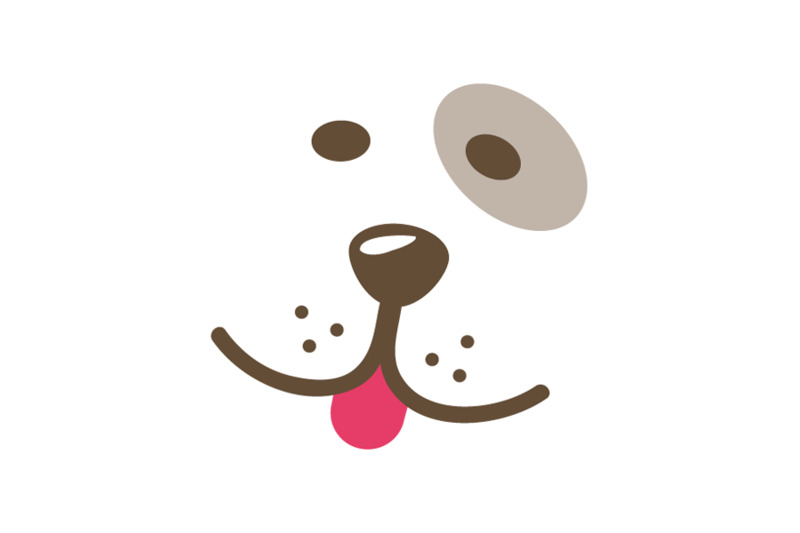 Unlimited registration may be available on select, evaluated puppies. Please contact for more information and pricing. 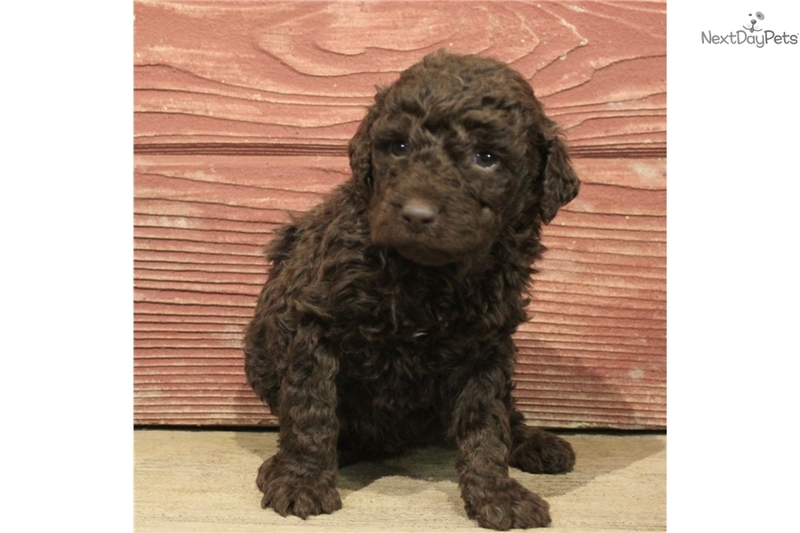 We are taking $300 non-refundable deposits to reserve this puppy. Pickup on the farm is always preferred, but we are experienced shippers and shipping is available for an additional $400. We are also able to deliver or meet within a 300-mile radius for an additional fee. We microchip all of our puppies.